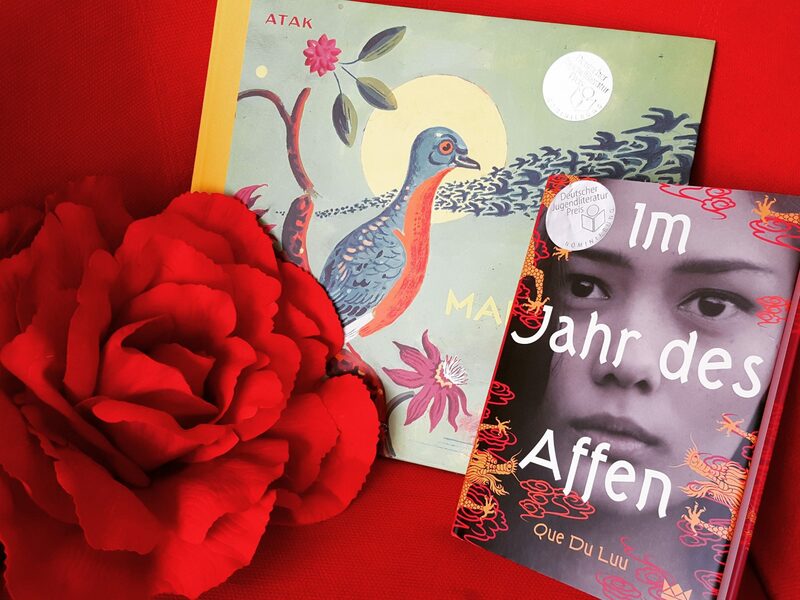 Nominated for Deutscher Jugendliteratur Preis 2017! Mini is a banana: yellow on the outside, white on the inside. Her father however is through and through yellow: he can only speak broken German and runs a Chinese restaurant. When Mini’s uncle comes to visit, he brings new life to her father’s restaurant – but Mini suddenly realises that she comes from a completely different culture. What’s more, her uncle forces them to confront their past again: their previous life in Vietnam and their escape to Europe. An unusual story about the tragedy of being different, the search for home, and the pursuit of happiness – all told in a poetic and light-­hearted manner. Que Du Luu was born in Saigon/Southern Vietnam in 1973. She is of Chinese origin and, like millions of other refugees, fled across the sea after the end of the Vietnam War. Her family ran a Chinese restaurant in Germany. Among others, Luu received the Adelbert-von-Chamisso-Förderpreis and the Hohenemser Literaturpreis. 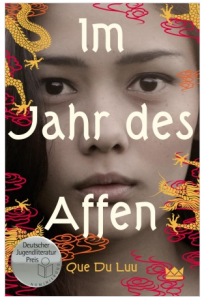 After two novels for adults, In the Year of the Monkey is her first title at Carlsen’s imprint Königskinder Verlag. Martha tells her story and the story of her kind. How could it happen that the carrier pigeon, once one of the most common bird species on Earth has been completely eradicated. 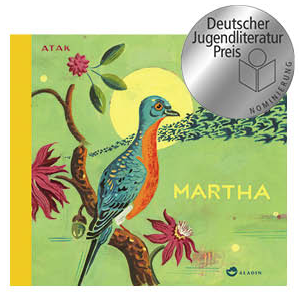 The artist, comic artist and illustrator ATAK was born in 1967 as Hans-Georg Barber in Frankfurt/Oder. He studied graphic and graphic art, was part of the GDR’s punks scene and was co-editor of the Berlin comics magazine Renate. He worked as a guest lecturer and professor at several universities in Europe. Today he lives in Berlin and teaches illustration at the University of Art and Design in Halle.